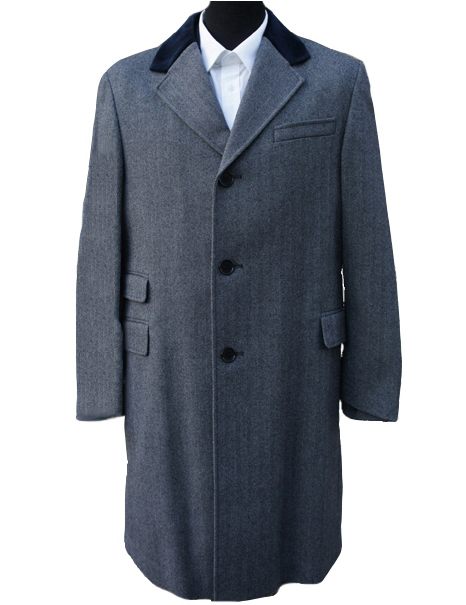 These Light Grey Herringbone Wool Overcoats are cut to a traditional 3 button, three quarter length pattern. 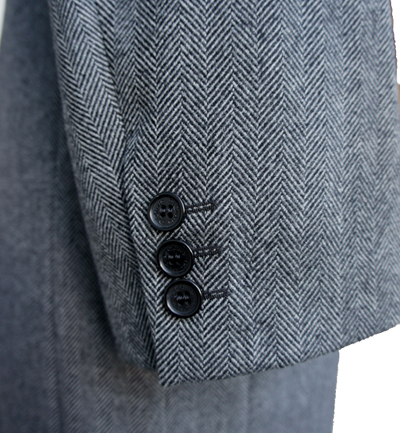 They are made from a soft to touch superb quality 100% Wool. 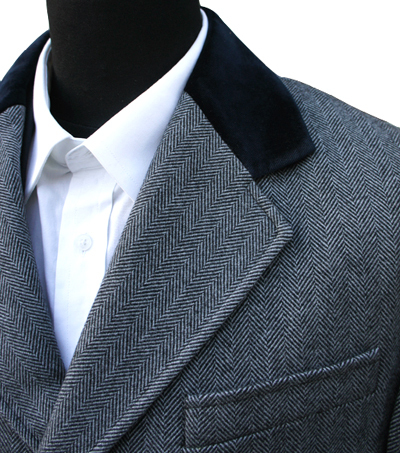 The collars are subtly finished with a Navy Blue velvet to offer a most distinguished formal look. This item comes with a FREE suit bag.